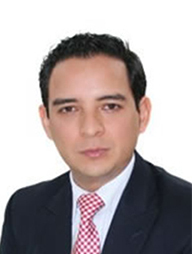 Daniel is a national and international consultant who supports companies in transforming their results through the management of human talent and therefore of its people. He is the CEO of Human Consulting Strategies and the Country Manager of Psigma Corp. (leader in Human Resource Management Assessment). Consultant of strategy and organizational development consultancy projects leading national and multinational companies. Professor of MBA programs, Strategy and Human Resource Management. Expert in Formulation and implementation of Strategic and Human Resources, he has led these areas for important business holdings. Economist and Business Administrator of Clark University majoring in Organizational Development with an MBA from Thunderbird School in Global Management, Master Certified Expert in Strategy and Balanced Scorecard Palledium Group (Kapplan and Norton). He is certified in team development from Lego Serious Play Certified and certified in Individual and Relationships development from Rasmussen Consulting. Certified as a NLP Coach with the ICC. ICC official worldwide trainer.